When I was a little girl, I loved playing with snakes. 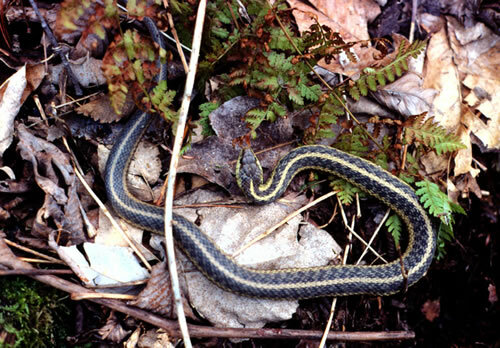 We had lots of garter snakes in our yard, and I would chase them through the grass. When I caught one, which it seems to me now that I must have only caught the very slow very stupid snakes, I would put them in the bottom of a big empty trash can and watch them slither around. I loved how their little bodies would curl up on themselves. Their lack of joints was fascinating to me. When I had completed my snake observation, I would carefully tip the can on its side and let the snake slide away. I’m sure I spawned many alien abduction stories in the snake community. 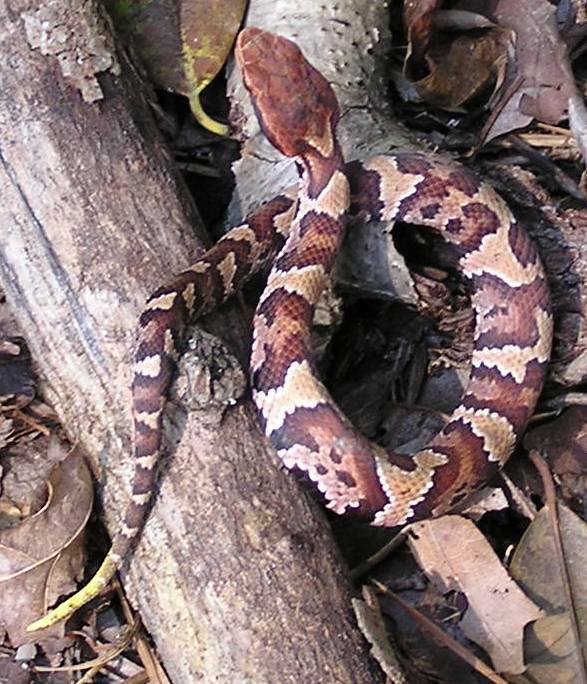 One day I was playing down by the creek in our backyard when I found the most beautiful snake. I chased it through the shallow water at the edge of the creek, and by some small miracle I actually managed to catch it! I was the queen of the reptiles! I carried my prize up to the house, put it in my trash can, and went inside to get my mother. I had to show her my really cool snake. As she looked down into the trash can, the “don’t track your wet, muddy shoes through the house” lecture stopped abruptly and was immediately replaced with terrified screams. As my mother searched my arms for snake bites, I was told in a frantic mom-panicking tone that no one without children is capable of replicating, that my beautiful snake was in fact a water moccasin. I was never allowed to play with snakes again. Oops. As to assist you in avoiding this possibly fatal error, here are photos of a garter snake (top) and a water moccasin (bottom). My husband doesn’t understand how I could have gotten confused. That did not end her facination with snakes (though it did create an keen avoidance of water maccasins). After we adopted homeless kittens, and they were old enough to roam the yard, our garter snake population was eradicated. Yum! Great story thanks for sharing it. I am the wiser when it comes to snakes today. It’s good that you’re quick. I used to catch garter snakes all the time. It was a happy time from childhood. I don’t think I ever went after a water moccasin. All that snake-catching experience probably saved you a trip to the hospital. Good story, though.